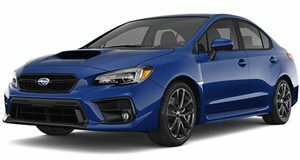 Someone Paid $70,000 For The Subaru WRX From "Baby Driver"
Just over a week ago we discovered that the modified 2006 Subaru WRX featured in this summer’s blockbuster "Baby Driver" was up for sale on eBay. That auction has now ended, with someone placing a winning bid of $69,100. Right, so $70k for a used movie car? Sounds a bit pricey, but it’s not like the car itself is just a bodyshell with four wheels. On the contrary, this WRX, which served as a stunt car in the film, is the recipient of several cool modifications. These include a conversion from all- to rear-wheel-drive, upgraded rear differentials and even a turbo from a 2004 WRX STI. Not bad. The work was professionally done at DBW Motorsport, so there’s some reassurance the car isn’t suddenly going to crap out on its new owner. You can also see this WRX in the music video for 'Chase Me' by Danger Mouse, Big Boi and Run the Jewels. It also made an appearance on the red carpet for the "Baby Driver" premiere. As we also already reported, the car is in perfectly good working order. It is street legal. There are, however, a few "dings and scratches" which is understandable and even kind of cool, given its history and all. Under the hood is a 2.5-liter boxer four (with that added turbocharger) linked to a five-speed manual transmission. Mileage? Well, it’s kind of high at 158,000 miles, but that’s how these things go sometimes. Still, $70k ain’t exactly cheap, especially considering one could modify an old WRX with similar conversions for significantly less. That Hollywood connection certainly carries a premium.